Have fun whilst learning an age old custom of the Celtic nation. 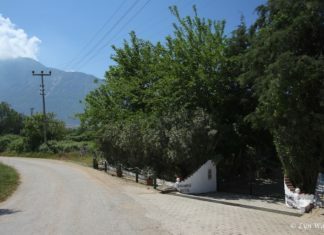 Classes will take place on the top floor of the Fethiye Community Church (Fethiye Halk Kilesisi) on the one-way system of Fethiye just along from Paşa Kebap and opposite Apple Café. For many years there have been occasions of celebration (New Year’s Eve; Burns’ Night; etc.) and it has been sad that not many people have been aware of the traditional dances used on these occasions. This is your opportunity to develop skills – and muscles – that you never realised you had, whilst enjoying the social gathering that these classes will encourage. Take the opportunity to meet new people and learn just what fun you can have whilst learning the age-old dances of Scotland. Don’t forget! every Monday from 2.00 to 4.00 at the FHK building.